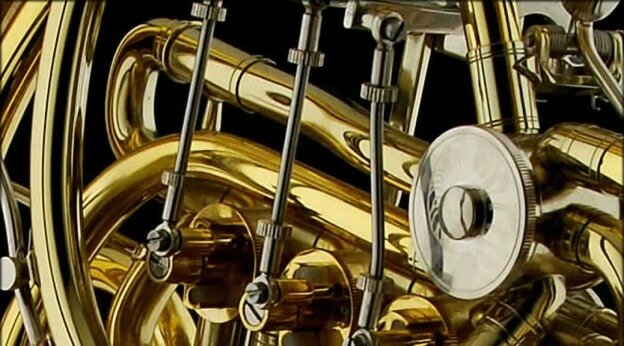 While all musical instruments require periodic professional attention, proper care and maintenance will allow you to keep your brass, woodwind, or stringed instrument in excellent playing condition for a long time. Click on a link below for care and maintenance instructions for your particular instrument, as well as some general information about your instrument. Instrument repair is a very specialized area requiring extensive training, knowledge and skill. Repairs should never be attempted by anyone who is not trained to perform the necessary procedures. All instrument repair technicians have both humorous and horror stories to tell of instruments brought into their shops after having been subjected to "do-it-yourself" repairs. When in doubt, consult a competent repair technician! Instrument repair is not an area that is generally governed by state regulations, so repair persons vary considerably in their abilities and levels of expertise. Since you are putting what is probably an expensive musical instrument into the hands of a repair person you want someone who is going to do the job correctly, charge you appropriately, and, above all, do no harm to the instrument. Am I able to speak to the person who will be doing the repair work? Is the work going to be done at the shop or is it sent elsewhere? Is the person doing the repair qualified to play-test the instrument upon completion of the work? Is the repair work guaranteed? For how long? Is the repair technician a member of NAPBIRT (National Association of Professional Instrument Repair Technicians)? Never assume that the terminology used in one repair facility has the same meaning as that used in another facility. Always ask what specifically is included in a repair quote. Terms such as Re-pad, Play or Playing Condition, Recondition,Restoration, Cleaning & lubrication, etc. all have widely varying meanings in different repair facilities. It's important that you understand exactly what is covered in a quote. For example, a shop may advertise a very attractive price for woodwind re-pads. When asked, they can tell the customer that the quote covers the installation of all new pads, but does not cover any "key work" such as bending, adjusting, etc. What they don't mention is the fact that virtually all re-pads require some "key-work," so the customer gets a shock when the final bill presented is considerably higher than the quote due to "necessary additional repairs."